L&L Partners Delhi-based private equity and corporate partner Vishwanath Pratap Singh is leaving the firm, we have confirmed from several sources. The 2007 NLSIU Bangalore graduate specialises in private equity and also does corporate work. It is understood that he will be taking some time off for now, though Singh did not respond to requests for comment. Singh had joined the firm just over a year ago from Trilegal, where he was a counsel, where he was a welcome and much-needed reinforcement to Luthra’s corporate transactional practice. He had begun his career at erstwhile Amarchand Mangaldas and had joined Trilegal as a principal associate in 2015, before joining Luthra. We have reached out to managing partner Rajiv Luthra and senior partner Mohit Saraf for comment. While boasting strong capital markets, projects and disputes offerings, the firm has struggled to maintain a footprint in the vital corporate transactional space. It has failed to make dents, compared to its peers, in M&A and private equity league tables for years now, for example, and no partner was promoted in the corporate M&A practice in the last round of August 2018. The Legal500 directory lists only Mohit Saraf and Rajiv Luthra as leading individuals (though the firm is ranked tier 1 for corporate M&A); Chambers and Partners ranks Luthra as “band 3” in corporate, citing Saraf (band 2), Rajiv Luthra (“eminent practitioners”) and partner Sundeep Dudeja (band 4) who is heading the firm’s corporate restructuring and regulatory practice (Chambers ranks its private equity group as band 4, listing only Saraf). Corporate partner designate Alok Sonker, who had joined in July 2018, left in January 2019. Neha Sinha, who was made a partner at the firm’s Delhi office in 2017, left for Shardul Amarchand Mangaldas (SAM) early this year. 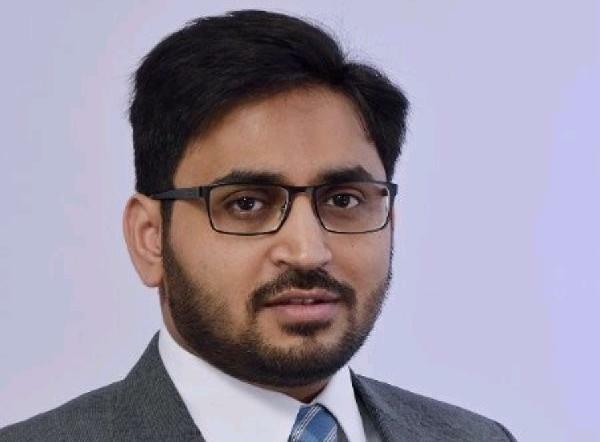 Delhi corporate partner Anshul Jain had joined PwC in September 2018. Corporate partner Shikhar Kacker left in April 2018. In November 2017, homegrown corporate partner Pranjal Bora left. Delhi corporate partner Dipti Lavya Swain left for Azure Power, where he became general counsel. Delhi corporate partner Aparna Mittal had left. Mumbai partner Shishir Vayttaden went to Cyril Amarchand Mangaldas. Corporate partner Shinoj Koshy who had joined from Nishith Desai Associates in 2015 remains with the firm. was Pranjal Bora a projects partner or corporate partner? Also Shikhar Kacker, Mriga solanki recently quit as partners. Wasn't aware of all these, thanks. Have added Shikhar Kacker to the above list. Was Mriga a partner in corporate too? ya- partner in mumbai office. she was an excellent finance lawyer. 2007 batch of NLSIU. She IS an excellent banking and finance lawyer. The best one Luthra had. This is exactly the problem with luthra problems. I said mriga is an excellent lawyer and someone randomly jumped in to to flag Karan’s skills. Well can’t they both be good ? Why does one feel so insecure that on a chain discussing exit of partner 1 and complimenting her, you felt constrained to list other partners in that area ! Seriously !! Difference between "excellent" and "best one Luthra had". I just disagree with the latter. Ok technically speaking, one could interpret to say that she was the best one luthra had at that time. May be today he is the best in luthra. Andhon mein kana Raja. I am sure when someone mentioned she was the best luthra had, it was a mere compliment to her abilities, just a figure of speech but as mentioned above insecurities are so high that people need to clarify their position as if justifying it here will matter. Btw all of this we are writing for sake of talking shite coz none of this matters to any of us and we are obviously assuming that Bikash doesn't do banking finance at all. But let's keep the ball rolling. Always fun to read such trivial comments. @Kian: I like how insightful this article is... but also appears to be quite motivated... is quitting a trend alone at L&L Partners? Also if we are studying trends... should we also refer to the time each of these persons spent here before quitting and compare L&L’s attrition rate with other Firms.. Luckily for you the quality of legal literature in India is so substandard that even this piece will attract enough eyeballs! Churn is inevitable in a law firm- locally and globally- however I don’t expect you to understand that. When nearly every corporate partner at a firm keeps quitting, then yes, it's a trend. The other big 6 pretty much all have much deeper corporate bench strengths and stronger M&A league table positions than Luthra, and firms like CAM that have seen similar levels of corporate partner attrition, nevertheless have hired a similar number laterally and regularly promote into corporate, which is probably their biggest practice area. The gaps between L&L and firms like Link Legal or HSA are shrinking, if it were not for Luthra disputes, cap markets and tax, and slightly higher salaries (in some departments). The facts that are public really speak for themselves here, though we remain open to being corrected on these by management or insiders, either anonymously in the comments or on the record. Finally, management choosing not to engage means either that they don't care about this perception, or that they know that it's true and would rather ignore it. Which is their prerogative of course. Come on Kian - L&L and HSA...don't think that's a fair comment! Unless you took into account the similarities between RL and HS. Both Luthra and HSA have strong projects practice and although Luthra has perhaps a couple of stronger legacy corporate and foreign law firm relationships, as well as the stronger practice areas mentioned above, they both have much smaller Mumbai and Bangalore offices than the other Big 6. Would be happy to be enlightened though about what really differentiates L&L from HSA or LL, without a significant corporate transactional practice? Disclaimer – I don’t work for L&L, but had close friends who did. I feel comparing L&L with one-trick ponies like LLILS and HSA is taking it too far. Link Legal, from what I have heard, is doing well, but they still has some distance to cover when it comes to corporate work, and also in terms of perception in the market as a full service firm. HSA – less said the better. Other than their regulatory practice, they are no-where in the picture in any other area. Revenue wise there cannot be any comparison between HSA and L&L. Of course there are similarities between how the management of both L&L and HSA have squandered a tremendous opportunity to grow their respective firms. L&L is now more like best of the rest after the Top-6 of AZB, KCO, SAM, CAM, Trilegal and JSA. Luthra is hiring people from HSA and LL to sustain their practices. Would not have happed a few years back for sure. Luthra also has had snobbish behaviour when it comes to hiring associates. They pay you less unless you are from few selected NLUs for eg NLS, NUJS, NALSAR, NLU Jodhpur (we all know why this has been there for a while). For e.g. if you are from Hidayatullah National Law University, you will be paid less than your peers whether or not you were the topper of your batch and whether or not you have done lot more internships and whether or not you are smart. I would understand the logic if they were hiring from specific colleges only but to hire from so called lower pedigree colleges and discriminate based on the college sounds quite ridiculous. The extent of ridiculousness is so much that on one had luthra literally hires anyone from Jodhpur at good pay package who has not got any other job offer even if the credentials are questionable and on the other hand even toppers from some other colleges including ILS and symbiosis get less than below average student from these specific NLUs. I don't know from where are you getting this info. Only NLUD is getting paid at par not the other colleges you mentioned. Being an insider, am once again confirming that from all the above 8 law colleges from where luthra corporate (excludes litigation/competition/ta x etc) is hiring, the firm is paying equal pay package to one and all. For each law school where the firm is recruiting either through ppos or by visiting campuses, two corporate partners are assigned the responsibility and the big man/small man stay away from those decisions. The prominent alumni from Jodhpur does not even engage himself in Jodhpur recruitment and has not been doing so since last 3 years! The corporate department of the firm is hiring more than 40 law graduates each year. Let us be fair and accurate and not indulge in making false statements on account of ignorance or otherwise!! It's quite funny that you insist on using so much language (very much a Luthra trait and not a good one) to be technically correct while claiming that Luthra pays same pay but you ensure mentioning that it is the case for 8 law schools. I assume in that case you are confirming that all other law colleges such as ILS, Symbiosis, HNLU, RML, RGNLU etc are not getting the same pay package. Luthra will claim that they don't hire Freshers from these colleges which is fine but they do hire laterals from all these other colleges (mostly coz no snob (which most of them are) from these top 8 colleges (as per Luthra they are top 8) would join Luthra as lateral easily). And there are quite a few people in Luthra from such colleges who would confirm that they are not being paid same pay package only because they are from these other colleges. Why don't you use other universities apart from Jodhpur as an example? Jodhpur has done extraordinarily well in the past and the general competency of their students is well-known. Students are recruited by all law top law firms (domestic and international). Not sure if you are from a so-called lower pedigree college (in your own words), but your own pedigree has been exposed here. I don't think this person was merely giving Jodhpur as an example. It seems quite clear that he is saying that there is an obvious bias in Luthra in favour of Jodhpur due to certain Jodhpur alumni (who has fair bit of influence when it comes to recruitments in luthra), as a result of which candidates who are less deserving than candidates from other colleges (whether lower pedigree or better pedigree) end up getting luthra offers at best pay package Luthra offers, which is the issue. I am sure quite a few kids from Jodhpur have done well and they have done so on merit and no one can take that away from them but the fact remains that there continues to be a bias in favour of Jodhpur in Luthra. Well, let's flip this around. Can you please name the pureplay corporate M&A partners who remain at Luthra? If I were to hazard a completely wild guess (and I accept I don't actually know that information), that number is maybe 8 (including the promoters), and out of those pretty much only Rajiv and Mohit are listed by Chambers / Legal 500 (for what it's worth, though those omissions could be blamed to the firm doing really bad PR). There's also Bikash who also does banking & finance, but I honestly struggle to think of any/many more. Claiming that all the partners who've left are terrible is a bit of a low blow and unlikely to be accurate (and also wouldn't reflect well on hiring or promotion policies were it true), considering a sizable number of the partners who've left are now at top firms or running successful independent practices. By comparison, take almost any other firm and the second or senior corporate layer they have beyond the promoters or even homegrown talent: AZB has always been a corporate powerhouse and they have added Ashwath & Co to that, which is almost a firm in itself, besides Gautam Saha & Co in Delhi and many others. SAM has Chudasama & Co + a whole bunch of homegrown partners and senior laterals in Delhi (including from Luthra). JSA has a pretty solid spread of corporate partners throughout, as does Khaitan (and both of these also hugely promote internally into corporate). CAM too suffers from a bit of promoter-bias perhaps in corporate, but there too anyone could easily name a handful of senior homegrown corporate partners, such as Bangalore (including ex-Luthra's Shishir Vayttaden). Finally, Trilegal's corporate practice may be a bit smaller and less high-profile compared to the others, but they also have a pretty small partnership, though even there you could easily name a handful of corporate partners besides the promoters. So many laterals remain though - William (who left L&L and rejoined it) Amit Shetye, Apurva Jayant, Deepak THM, Jay Parikh (as you rightly mentioned), Pallavi Bedi. L&L may have a BUMPER crop the next year too - loads of good MA / PA levels in corp ready to be elevated. Thanks for sharing, that is helpful, it seems like my guesstimate of 8 corporate partners is roughly accurate, then? I was aware of some of these names but wasn't aware they were all pureplay corporate. I'm sure to a large extent the problem is that Luthra does not publicise the deals of most of these partners at all, so it's hard to know whether the firm actually has any M&A work spread around those partners or if it's just 1 or 2 of those partners handling 99%. By press releases sent to B&B and IBLJ, it appears to be the latter, but again, I'll be the first to admit that this could just be bad PR. disagree with the last line. someone please promote the right people and the homegrown people #bigger problem. I agree...reeks of bias (and we all know why)! Do tell why, if you know? All I know, is Luthra has decided to blacklist LI for a few years now, mostly from what I understand because they were upset about negative coverage and reader comments about partner departures. That said, we treat Luthra in the same as any other firm, other than the fact that it chooses not to include any comment in the stories that could provide some perspective on the facts. Some free PR suggestions for spinning this could include: "we wish him well", or "L&L continues having a market-leading corporate practice", or "we still have X top corporate lawyers and continue advising on marquee mandates for our clients", or any combination of the above. Let's assume that you're not biased, and you are just stating facts...why do you, then, not report larger Corp/M&A deals and choose to report some smaller deal? Examples - (1) L&L represented Reliance on purchase of an ITC brand, (2) Acquisition of REC by PFC, (3) purchase of IIFL home loan business by Indostar. Before you jump and say that you had no notice of these deals, please check B&B which has reported some of these deals. You're happy to pick and choose...why? As for why we don't do more of them, I believe L&L does share press releases with B&B, IBLJ and other 'friendly' publications. Unfortunately we have a backlog right now in our deals coverage and the priority is to get the press-released ones into our system, though we hope to also pick up any deals covered elsewhere for inclusion in our league tables. But to some extent, at the end of the day, I admit that our resources permit us to only go so far to cover deals accurately and in a timely manner where a firm actively boycotts LI for whatever reason. Even with those deals you mention, however, Luthra's deal volumes are a fraction of what they used to be even 5 years ago, which is reflected in independent league tables as much as our coverage. That said, yes, they do still have major clout with many large corporates and have a large number of loyal clients. But is that enough without a consistent second layer of partners to execute them, when there are firms like AZB, CAM, SAM and even S&R and others? it really doesn't matter matter how much time a partner spent before leaving the institution. The management needs to understand what the rookie partners are capable of to ensure their position is not dwindled at any cost. If it's Luthra-insider people's KBC, then it must be Option 'D'. Is there an Option V in that KBC? Not sure why would you consider this biased. Generally speaking I do agree that Kian has some bias against Luthra. Said that, in this piece he has simply stated facts regarding corporate practice of Luthra, which clearly has issues. There is no doubt that people quit and join in this business all the time but luthra had a flourishing corporate practice at one point and now it is no where close to other big law firm in India. Without getting into reasons (which is what kian would have done, if he wanted to write this piece with a bias) for that decline, Kian has simply stated the facts, which he does for other law firms also including CAM where partner level attrition rate is high. Vishwa left for the same reason everyone else has - the absurdly toxic work environ. It's been miserable in there for a while. If you think it's just the partners, you should see 2018's attrition stats for associates. Most of the workforce has been there for less than 2 years. Have been working with Luthra for last one year, and I seriously don't find the environment toxic. Partner Designate Alok Sonker has also moved on in January, per his LinkedIn profile, to add to the list of departures. Thanks, didn't know he'd left... Have added his name to the list above. Kian you missed Rajesh Chavda. He had joined with Shinoj in 2015 and left around late 2016 for IDFC. Rajesh didn't join with Shinoj and was not really a corporate partner. He was a projects lawyer who was supposed to work with Sameen. I agree with wtf - despite corporate departures having thinned ranks, L&L continues to rack up solid corporate/M&A mandates. Kian, don't waste your time responding to the luthra corp com which comments on the whims and fancies of favorites in luthra. Better to focus on promotions in bigger better firms such a KCo. I hope L&L clients don't read this space. That's what you are capable of. To look what people are writing and reading on LegallyIndia. rather than actually doing productive work. Please impress clients, not comments here. Commenting on articles would mean giving LegallyIndia more importance than it deserves. Though I do think these articles make a dent in L&L’s image and the management must deal with this. 2. Increments are rolled out at least 6/7 months later and typically after the promotions. Feel free to track the previous 5/6 rounds of promotions and you will see that this never happened before October / November. While L&L does have an EC, the bonus and salary revisions are again only decided by one and only. He would usually sit down with a huge ruler and an excel sheet in his glass cabin a few days before the roll out. So if he is travelling, you can easily forget your bonus for a few weeks. 3. The partners have absolutely no say in policies or payouts. It’s been common for partners to suggest promotions or raise but shot down subsequently my the man. 4. All publications and magazines have names of only 2 people’s name as the preferred contacts. All conferences or news are attended by one man alone. This means zero recognition outside office even though the man will try to tell you that you are the best lawyer he has ever seen. 5. FaceTiming is usually stressed upon at Luthra. If you don’t work on weekends / beyond 11 pm, you don’t work hard enough. For this very reason, the [...] and only reach office post lunch. Ask anyone and you will see the attrition is maximum at his team. One partner even was forced to switch teams to pick up another practice area even though it involved a substantial cut in his cheque size. Any guesses who this [...] is? 6. All selections are decided by one man alone (even of fresh college graduates). Partners have no say and quite a few recommendations have been unilaterally recommended by him alone. 7. A partner (then MA) was shouted at for initiating BD meetings without consulting MS because he thought that she would pose a threat to the firm by developing an independent client base. 8. Public humiliation and insulting is prevalent at Luthra. While you may get pulled up at other firms, at Luthra you may just come across as a stickler or someone who cares a lot about his work. That’s some intense and bang on analysis! Actually interesting outcome would be if the majority partner population has joined a rival firm after quitting luthra. This is an excellent analysis. Must be an insider or a former insider. The place has crazy policies on attendance and a totally vitiated work environment. Except a few honourable exceptions, people get work not because of what they know but who they know. The place is on a slippery slope. I am in agreement with the analysis. It correctly captures most of what is wrong with the Firm. But I dont think it is fair to blame any one person in particular (specially when it comes to late sitting). There are many partners who sit late and who make their team sit late. Most do it for the face time with the powers that be - but they also do it because of their life style. People at L&L are unhappy at a very personal level - most dont have a personal life and are in fact specifically discouraged from having one. There are partners who will not misbehave outright but make your life miserable in other ways - no holidays, making you wait for no reasons etc. This is not the issue of a single partner - a lot of the partners on the 9th floor are guilty of this. It all boils down to a very feudal mindset - the counsels at L&L are my servants. That sentiment prevails across the board. At the partner level it is more pronounced because, most people who are partners for more than 5 years have nothing to look forward to - there is no equity. So to create an artificial sense of self importance they create unnecessary red tape in the sense - if you make a partner type an email at L&L, most will take half an hour, replete with typos and bad grammar (they are so out of practice of working, that even the simplest thing has to be done for them). How is luthra's disputes team rated? I have heard that they have very strong and known litigation partners, who are respected all around? Only Bobby and Manmeet. Rest are average! What about the younger lot, the future of luthra? Bobby, I have heard from others that he is well respected in the industry. There are unpublished comments. I am more curioustoknow. Kian - why are you editing/ moderating/ CENSORING comments when all they have is factual information? No cuss words, no slander, no defamation. Just plain hard facts. Please publish them. You will be doing a service to younger lawyers. Unlike more developed jurisdictions - like the ones you have experience in - Indian law firms do not put out much information about their partners and their professional experience. It is only through LI and BB then prospective employees can get their information. You must publish and not censor. Where was the work for him? We all are idling, whiling away our time. He was never that senior to have his own book and firm did not have enough work to parcel out. This revolving door will be there for some time for sure. The firm needs to hire to show it still is in reckoning. Having a book has nothing to being senior. Building a practice is a way of being. L&L has a culture that suffocates. The Biggun and Shotgun decided aeons back that they would be the only two dogs in a dungeon rather be the top dogs in a castle. When it became evident, or more specifically made clear, the exit door was the only way out for the ambitious. The firm scoops on it's partners. All mails, including the spam, are screened and business development must be via the superbly crafted two guns. The Shotgun gets much of the flak, but he can't move an inch without the Biggun's nod. Whatever he does is part of the responsibility delegated to him by the Biggun. They play out the good cop bad cop ritual. The death of this firm will be because of ONE arrogant ...guy. The only reason he has not been able to devour the firm is because of the three guys who keep him in check. Big man RKL is too busy playing the perfect Punjabi host! Lot of good people left only to thrive elsewhere. As long as Manmeet is there in LL, LL can easily navigate the rough weather. He is the best and the leader partner earlier having largest team in the Projects practice. Umm, Manmeet hasn't been a projects partner in (I believe) over 2 years now. He is a litigation partner. Spectacular lawyer all the same, no doubt. Hi Kian, VP has already left Luthra end of March. sometime in March end was his last day at work. This seems like such a bad faith article. Specifically, targeted at 1 firm. Shame on you LI.